There are several events around the world that gather thousands of people every year. Due to its significance, people purposely work around their schedules and take the time to travel just to attend these events. However, because of the huge number of people expected to attend these occasions, there are only a number of specific venues that can hold these events. Particularly in Japan, one of these venues that can accommodate thousands of people is the Makuhari Messe International Convention Center. The first name of this famous convention complex came from the district where it can be found. Makuhari is a district located near the outside perimeter of central Tokyo. This commercial district can be found along the shores of Tokyo Bay located in Chiba Prefecture. The district of Makuhari was made on reclaimed land during the late 1980s. The reclaimed area underwent organized city planning and follows a modern style of architecture. The streets in this reclaimed land are known to be wide as well as well-designed. Furthermore, the area also consists of elevated promenades as well as walkways. Aside from the convention complex, the district is also known for its baseball stadium, seaside park, and shopping places. However, the real primary attraction of the district of Makuhari would be none other than the Makuhari Messe International Convention Center. Just following Tokyo Big Sight, this convention complex is the second largest in all of Japan. The center contains several exhibition halls, an event hall, and a conference hall. The Makuhari Messe is also known as the host of major events including the yearly Tokyo Game Show, Jump Festa, and Tokyo Auto Salon. Found in the Mihama-ku ward of the city of Chiba, the Makuhari Messe was designed by Fumihiko Maki. Located in the northwest corner of the prefecture, this convention center can be easily accessed via the commuter rail system of Tokyo. The second name of the convention center “Messe” is the German translation to “trade fair.” Opened on the 9thof October in the year 1989, the Makuhari Messe serves as the host of various high-technology events. The well-known elevated walkways in the area serve as the connection between the convention complex and the hotels surrounding it. The walkways also link to several shops and restaurants near the convention center. Most of the shopping centers and restaurants are located around Kaihin-Makuhari Station. These include the Mitsui Outlet Park as well as the Plena Makuhari Mall. These malls consist of several local and international brand stores. Most of these shops sell clothing and accessories. Shoppers would definitely enjoy this area, as the malls cater to local visitors as well as tourists. Other places to check out in the area are the Aeon shopping mall, which is located north of the station, the Cineplex Makuhari, and the Room Deco home interior showroom. Visitors can also find park and recreation spaces located just east of the station. One of the parks worth visiting in the area is the Makuhari Seaside Park, which can be found along the shore where one can also find the Chiba Marine Stadium. For those who are not familiar, this stadium is the home base of the Chiba Lotte Marines baseball team. Moreover, one can also access Tokyo Disney Resort by just hopping on a train from Maihama Station. Aside from its proximity to Tokyo Disney Resort, Makuhari Messe is also known to be close to the black sand beaches of Chiba Prefecture. The convention complex also holds some of the most famous events in the country. This includes the yearly Tokyo Auto Salon in January, the Wonder Festival in February and July, the Tokyo Game Show in September, the Tokyo Motor Show in October, and the Jump Festa in December. A number of Nintendo Space World events were also held in Makuhari Messe. With the coordinates of 35°38′54″ North and 140°2′5″ East, the exact address of Makuhari Messe International Convention Center is 2-1, Nakase, Mihama-ku, Chiba, Chiba Prefecture, 261-8550, Japan. The complex is owned and operated by Makuhari Messe, Inc. The center opened in the year 1989 and expanded in the month of October in the year 1997. Its total enclosed space is 79,498 square meters, which is approximately equivalent to 855,710 square feet. 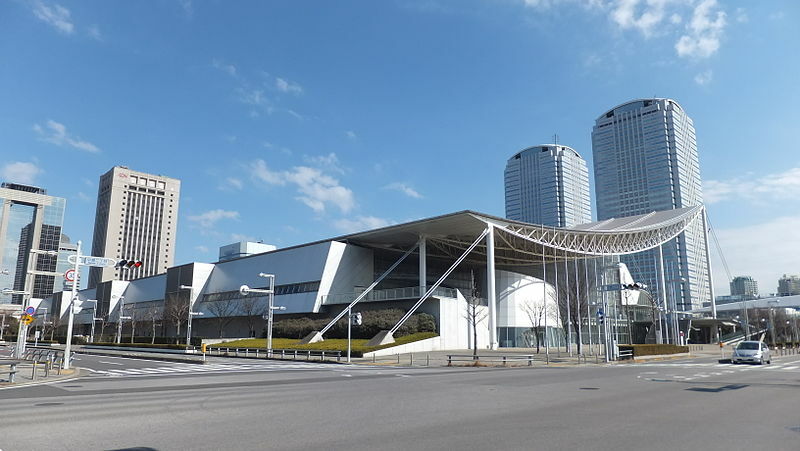 The center’s exhibit hall floor consists of the International Exhibition Hall 1-8, the International Exhibition Hall 9-11, and the Makuhari Event Hall. The center can be accessed through public transit under the East Japan Railway company (JR East) Keiyo Line at Kaihimmakuhari. The International Exhibition Hall 1-8 consists of 8 halls with a total area of 54,000 square meters, which is approximately equivalent to 580,000 square feet. On the other hand, the International Exhibition Hall 9-11 consists of 3 halls with a total area of 10,000 square meters, which is approximately equivalent to 190,000 square feet. As for the Makuhari Event Hall, it has a total area of 3,098 square meters, which is equivalent to 33,350 square feet. Makuhari Messe also houses a space for meetings, known as the International Conference Hall. This hall consists of 21 rooms and has a total space of 4,400 square meters, which is approximately equivalent to 47,000 square feet. A ballroom can also be found inside Makuhari Messe that has a total area of 1,390 square meters, which is approximately equal 15,000 square feet. To give an overview of each hall, the International Exhibition Hall 1-8 basically uses movable partitions in order to divide space into the desired number of halls with the maximum number being 8. The whole space itself does not contain any columns and pillars. All exhibition halls have their pits built into their floors. These pits are used for several utilities like water and electricity. With a ceiling height of 28 meters, this hall offers flexibility for different kinds of presentations. On the other hand, the International Exhibition Hall 9-11 can be divided into three spaces with the use of movable partitions as well. Hall 9 has an area of 9,000 square meters while Hall 10 and Hall 11 each contains only half the area of Hall 9. Thus, Hall 9 would be preferable for heavy exhibits. Aside from the 21 rooms, the International Conference Hall also contains the Convention Hall. The Convention Hall can accommodate up to 1,600 persons. Due to its sheer size, the Convention Hall can hold several types of events like international conferences, company seminars, and parties. Events in the Conference Hall can also be held in conjunction with events in the Exhibition Hall. Last but certainly not the least, the Makuhari Event Hall is a multi-purpose hall. It can accommodate up to 9,000 people. Because of its immense size and capacity, the hall can be used for a wide range of events. These can include concerts, exhibitions, ceremonies, and sporting events. Staging can also be done in this hall, made possible by more than 100 hanging batons and hooks that can be found on the ceiling. Makuhari Messe provides several facilities to its guests. For one, internet connection would not be a problem, as Makuhari Messe provides free Wi-Fi. Visitors can also find restaurants, convenience stores, shops, cash machines, coin-operated lockers, smoking area, nursing rooms, and change machines in Makuhari Messe. 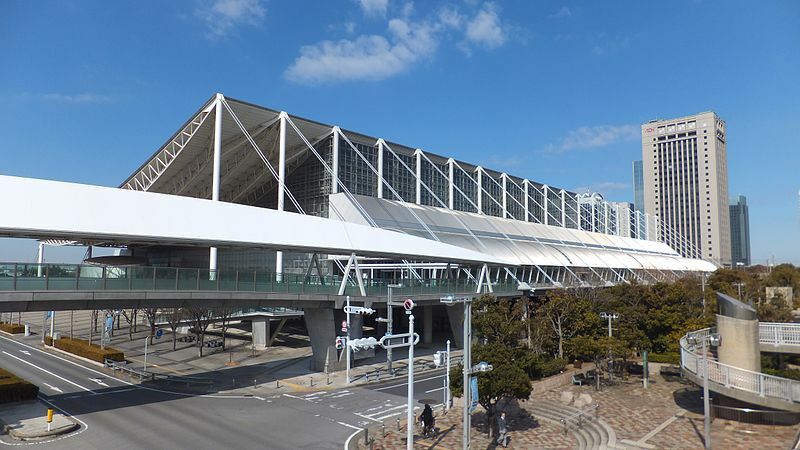 Because of its capacity and flexibility, it comes as no wonder that several big events have been held in the Makuhari Messe International Convention Center for years. For one, it has served as the venue of the annual Summer Sonic Music Festival since the year 2000, where one can find the Mountain and Sonic stages. A famous Australian singer named Kylie Minogue also held her performance for her Aphrodite: Les Folies Tour in Makuhari Messe on the 23rd and 24th of April in the year 2011. A famous rock band called Glay also chose Makuhari Messe as the venue for their first Glay Expo concert called Glay Expo ’99 Survival. Held on the 31st of July in the year 1999, the concert was attended by an audience amounting to a total of around 200,000 people. This concert was the biggest ever to be held by only one act in the country, which was certified by the Guinness World Records. People who are into American pop would certainly have heard the name Lady Gaga. An American superstar, Lady Gaga held her performance in the convention center on the 8th of August in the year 2009. This was part of her debut headlining tour entitled The Fame Ball Tour. Makuhari Messe also served as the venue of the Magic: The Gathering World Championship in the year 2010. 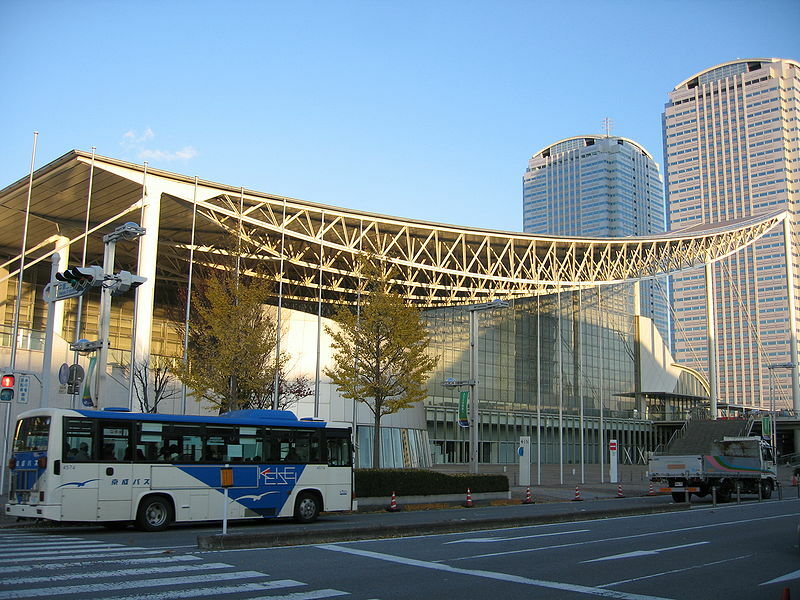 Makuhari Messe also hosted the first Anime Contents Expo on the 31st of March and 1st of April in the year 2012. The event was attended by around 42,000 people. Makuhari Messe was also the venue of the Final Leg of One Direction’s Take Me Home Tour. A famous British boy band, One Direction sold 150,000 tickets for that concert in Makuhari Messe. Famous American singer Mariah Carey also performed her concert The Elusive Chanteuse Show in Makuhari Messe on the 4th of October in the year 2014. The Makuhari Messe International Convention Center has also served as the host of Vocaloid live concert. It was chosen as the venue of Magical Mirai in September of the years 2016 and 2017. The third Vocaloid concert called Magical Mirai 2018 shall also be held in Makuhari Messe in either August or September of this year. The convention complex was also the venue for well-known American singer Ariana Grande for her 3 shows as part of her Dangerous Woman Tour, where she performed for more than 52,000 people. For upcoming events, Makuhari Messe is set to be the venue of four sports for the much-awaited Tokyo 2020 Olympics. Originally, these four sports, namely, fencing, karate, taekwondo, and wrestling, were to be held at Tokyo Big Sight. However, due to cost-cutting measures, the venue was moved to the Makuhari Messe International Convention Center. Makuhari Messe is accessible coming from Tokyo. Local, as well as rapid, trains are both operated on the JR Keiyo Line between Tokyo Station and Kaihin-Makuhari Station. A one-way trip between these two stations can take around 30 minutes using the rapid train and a few minutes longer using the local train. It costs at least 550 yen to travel between the two stations on a one-way trip. Other trains that run along the JR Keiyo Line that also pass between the two stations are the JR Sazanami and Wakashio limited express trains. A one-way trip using these alternatives can cost 1,060 yen for a non-reserved seat. However, this option is a bit faster as well as less crowded. These trains also depart on an hourly interval. Coming from Narita Airport, one can just get on the bus operated by Keisei Bus that travels between the airport and Makuhari Messe. A one-way ride costs 900 yen and takes around 40 minutes. These buses also depart on an hourly interval. An alternative option would be to get on a train on the Keisei Line from the airport and get off at Keisei-Tsudanuma Station. After which, one would have to transfer to the Keisei Chiba Line to Makuhari-Hongo Station. From there, get on a Keisei Bus heading to Makuhari Messe. This whole one-way trip can cost around 1,000 yen and can take about an hour of travel time. Because Makuhari Messe is a venue for huge events that can take up a day or two, one can also opt to stay the night in hotels nearby. Two great options that one can check out are Hotel Green Tower Makuhari and Hotel Francs, both of which offer affordable rooms. As a whole, one can say that Makuhari Messe is definitely the place for huge events and concerts. With its capacity not just in terms of the number of people but also of its facilities, it comes as no surprise that organizers choose this convention center as the venue for their events. It is most certainly worthwhile knowing where Makuhari Messe is and how to access the place. After all, it might just be where the next big thing will take place.